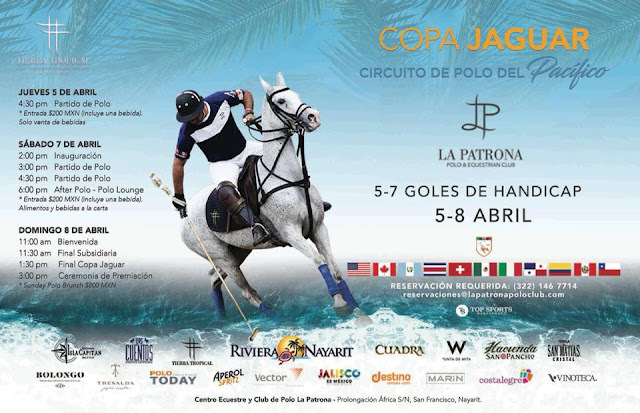 La Patrona Polo & Equestrian Club will be hosting this prestigious tournament from April 5-8, which includes four teams with a 5- to 7-goal handicap. 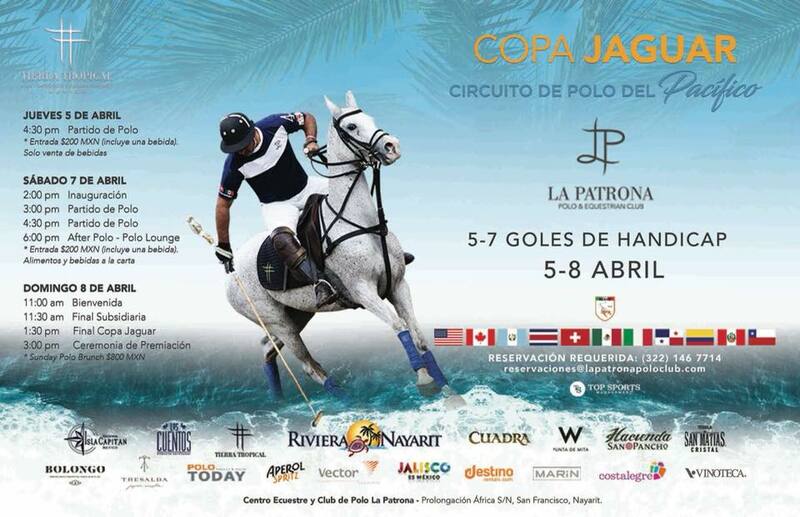 The 4th Jaguar Cup begins on Thursday, April 5th at La Patrona Polo & Equestrian Club in San Francisco (San Pancho), marking the continuation of the destination’s effort to drive this equestrian activity as one of the luxury sports disciplines in the Riviera Nayarit. 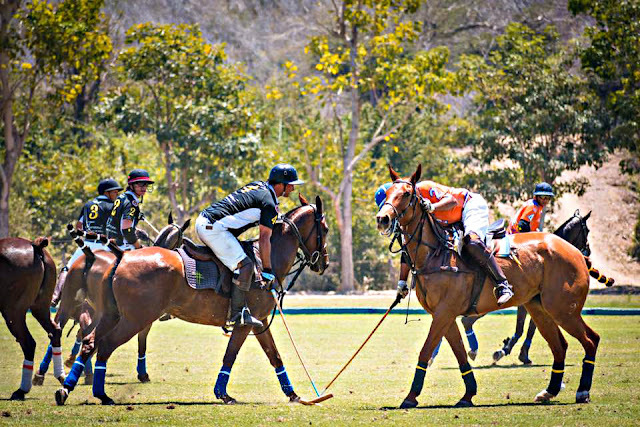 This world-class event occurs within the framework of the 1st Pacific Polo Circuit, which began last week with the Copa Agua Alta in Careyes, Jalisco. Of note is the fact it marked the first time the La Patrona Polo Club team traveled to Careyes to participate in its Cup. Now it’s La Patrona’s turn to welcome three opposing teams seeking the trophy for best team on the Circuit. Now in its fourth year, the Jaguar Cup brings together Mexico’s top players in unparalleled natural surroundings that serve as a backdrop for the excitement and passion stirred by the game of polo, not to mention the culinary delights of Chef Hugo Ahumada’s Cocina Poética (Poetic Kitchen). La Patrona – Riviera Nayarit Polo Team: Tomás Elliot, Alexis Cruz Echeverría, Juan Carlos Galán and Adrián García. Agua Alta – Hacienda San Pancho – Jalisco Polo Team: Manuel Matos, Diego González, Guillermo Jiménez and Roberto González Gracida. Costeñito – Hotel W Polo Team: Víctor Setien, Rodolfo Ramos, Sebastián Aycinema and Juan Pablo Gallegos. The Jaguar Cup consists of four days full of activities. On Thursday, April 5th there will be one match open to visitors played at 4:30 p.m.
On Friday the 6th the players will tour the Riviera Nayarit region during the day, followed by a closed match in the afternoon. That evening there will be a cocktail party for the formal presentation of the teams. The public will be welcomed back at 2 p.m. on Saturday the 7th for the Opening Ceremony. The polo semifinals are on the schedule as is the Spring Polo Picnic with live music and paella. There will also be an After Polo presented by Tequila Matías Cristal. That evening the players will be invited to San Pancho’s culinary offer. The traditional Sunday Polo Brunch will be held on Sunday the 8th from 11 a.m. to 4 p.m. with live music, as will the Subsidiary Final, the Jaguar Cup Grand Finale, and the Awards Ceremony for the participating teams. The players will receive gifts from the sponsors; the winner’s trophy is a jaguar sculpture created by the local Huichol artisans. La Patrona Polo & Equestrian Club, located in San Francisco, Nayarit, boasts a premier polo infrastructure and cutting-edge design. It is without a doubt the perfect spot to host world-class sports and culinary events. The Riviera Nayarit Convention and Visitors Bureau (CVB) and the Bahía de Banderas Hotel and Motel Association (AHMBB) work hard to promote the destination with the support of the Government of the State of Nayarit via its Tourism Promotional Trust (Fiprotur). The sports tourism product offer is an invaluable asset for these promotional efforts.